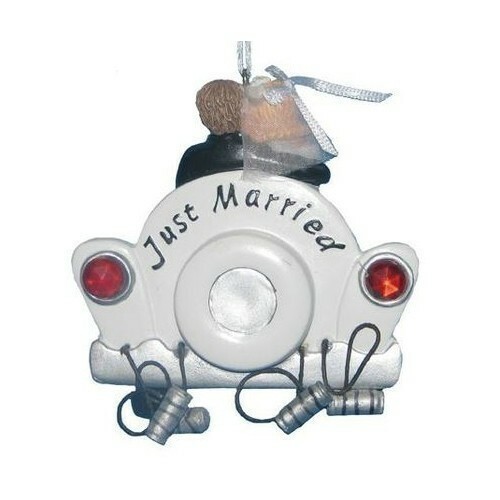 This "Just Married" ornament for personalization from Kurt Adler is a delightful addition to any holiday decor or Christmas tree. Made of resin and paint. Features a bride and groom driving away in a white car. Complete with tin cans and "Just Married" across the back. Can be written on for personalization. Perfect for newlyweds. 3.75 inches tall.